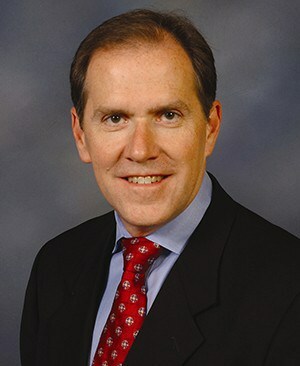 Aug. 12, 2015 | LITTLE ROCK – Daniel Knight, M.D., chair of and associate professor in the Department of Family and Preventive Medicine in the University of Arkansas for Medical Sciences (UAMS) College of Medicine’s, has been named a Fellow of the American Academy of Family Physicians (AAFP). Being named a Fellow recognizes AAFP members who have distinguished themselves among their colleagues and in their communities by their service to family medicine, their advancement of health care to the American people and their professional development through medical education and research. Knight received his medical degree in 1985 from the UAMS College of Medicine where he also served his residency. He was named department chair in 2009. In 2012, he completed the Program for Chiefs of Clinical Services at the Harvard School of Public Health. Founded in 1947, the AAFP was the first national medical specialty organization to require its members to complete a minimum of 150 hours of accredited continuing medical education every three years. It is the only medical specialty society devoted solely to primary care. Knight is board certified in family practice. He is a board member of the American Association of Medical Colleges Council of Faculty and Academic Societies and president of the Arkansas Academy of Family Physicians from 2014-2015. He also is chair of UAMS College of Medicine Council of Department Chairs and a member of the Arkansas State Medicaid Patient-Centered Medical Home Advisory Committee and the Arkansas Blue Cross/ Blue Shield Primary Care Advisory Committee.